Published on June 25, 2015 by Martyn. Be the first to comment! 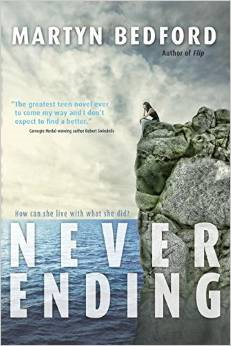 I’m pleased to be able to share the cover for the Canadian paperback edition of Never Ending, which is scheduled for publication in September by Doubleday, in Toronto – part of the Penguin-Random House group. It’s the same design as the hardback edition except for the inclusion of a wonderful quote from Robert Swindells.